The Loudoun County Chamber of Commerce is seeking nominations for the Loudoun County Valor Awards. This is the 32nd year that the Loudoun business community will honor the career and volunteer emergency first responders and ordinary citizens for their courageous, often lifesaving actions during 2016. Nominations are due by Jan. 6. 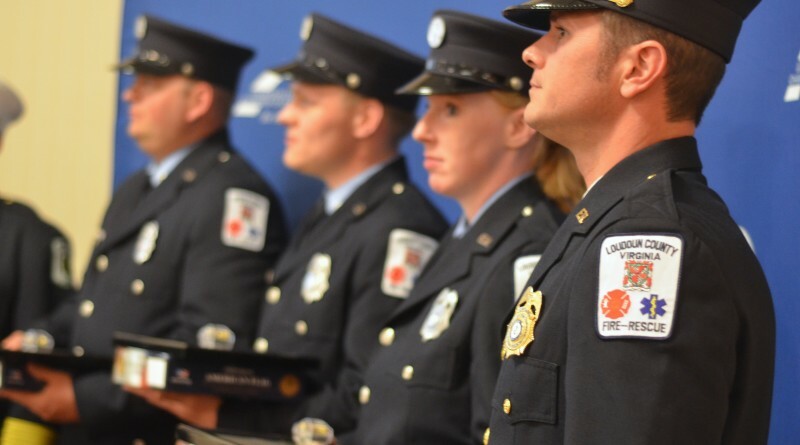 All career and volunteer law enforcement, fire and rescue personnel from agencies within Loudoun—including the towns, the Metropolitan Washington Airports Authority and Virginia State Police—and civilians who live or work in the county are eligible for nomination. “The Annual Valor Awards is the Loudoun County Chamber’s proudest tradition, because it provides our members the privilege of honoring our community’s emergency first responders and those ordinary citizens whose heroic and selfless actions, often in the face of great peril, have saved lives and kept our community safe,” Chamber President Tony Howard stated. To submit a nomination, complete the online nomination form at loudounchamber.org/Valor-Awards. Contact Events Manager Paige Romanow at promanow@loudounchamber.org with questions or requests for assistance.